To find the perfect bar in Adelaide, it is important that they take your breath away with first look at the wine menu. The ultimate bar must whet your appetite and be segue that your night needs to transform from boring and predictable to exciting and impulsive. Food is always imperative, you wouldn't want the night to end before it's begun, and price is vital, but if you find the right bar for you, it's always acceptable to splash out a little, right? If live music is your game, Adelaide sure knows how to hold a cracking live gig, with the off-chance of karaoke on the cards for your parents or a friend who has had one too many red cordials. The key to finding a good bar in Adelaide, is not to listen to what everyone else has to say, but to try the smaller places and make a decision for yourself. Starting at the Western end of Adelaide's CBD, there are few little-known bars that many people will say 'oh yes, I've heard of it, but where is it again?' If we sweep East from West Terrace you will soon find a bar that is one of Adelaide's hidden gems. Four Doors Plus One recently celebrated their first birthday among Adelaide's hospitality elite. If you're planning to arrive before midnight, don't arrive at all. A DJ is on the decks from later in the night, and the decor inside makes you feel like you've stepped back into the ultimate 1970's bar, but it's amazing. Chalk-board tables outside are popular, but once they're full just flip them over and it's a blank canvas. Directly across the road from The Rosemont Hotel on Hindley, it's still very easy to miss. Look for hipsters spilling onto the streets and alert your nostrils to the smell of cinnamon and musk. If you move further East you will reach the squeaky-clean Udaberri on Leigh Street. Think tapas to start, espresso martinis to finish. Beers on special every day and the bartenders are geniuses in their own right. A little pricier than some other places on nearby Hindley, it's worth it for the intimate ambiance both inside and outside. Literally a stones-throw away, the next bar on tour is little-known, largely crowded Casablabla. 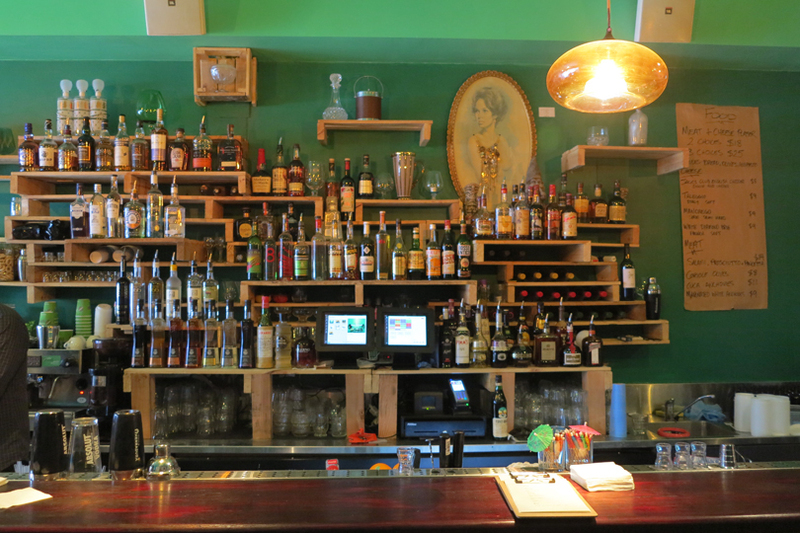 Casablabla boasts something that no other bar in Adelaide has, or ever has had, before. Games of limbo and African mask dancing are just some of the performances that grace you with their presence nightly. Food and drinks can be pricey, however throw in a bit of free Brazilian dancing and it is definitely worth it. If you're looking for something a little more relaxed hop on over King William Street, and familiarise yourself with Pirie Street because this next one can be hard to find. Tucked away almost out of sight is Pirie & Co. Twice before known as The Wine Underground, a name change has done the bar some good, attracting a much younger crowd on a Thursday night, but managing to keep its appeal for the more mature-aged every other night. The restaurant receives raving reviews from foodies nationwide and the extensive wine list, as the title promises, is enough to whet anyone's appetite. Boasting some big-name live music acts this year, An incredible ambience is guaranteed to not be ruined by the drunken antics of teenagers and if you have a taste for the perfect wine, they will have it stocked somewhere. Backtracking towards West Terrace will have you find Gallery on Waymouth. The ultimate multi-tasking bar, it overlooks Waymouth Street from the third floor rooftop bar and outdoor area, while the first two floors are filled with artwork and coffee. Ideal in summer when the weather is perfect for a carafe of sangria and conversation is sure to flow. If you're their late enough at night, it's a real treat to watch the bar staff take a watering can and individually tend to every single potted plant and flower on the rooftop – proving that a bit of TLC goes into making these bars what they are. Fairy lights, lanterns and candles have the perfect amount of romance to make anyone melt inside upon first arrival. Just a short stroll from Waymouth Street is a chic new cocktail bar called the Taxpayers, right in the heart of the city on Victoria Square. If you're looking for a reasonable priced cocktail jug, don't let the fancy façade of the bar put you off. They will usually play your typical jazz music, but with a twist. A trumpet player is known to circulate these parts, and he is often taking advantage of the music while making tables, couches and bars his, literal, stomping ground. From here it's another short wander to The Loft Wine and Oyster Bar, which is perfect for tasting expensive whiskeys and gins, while people watching over Gouger Street. Don't make it your last stop though, it's upstairs and although it may have a chairlift for those less fortunate, everyone knows someone who has had a nasty fall down stairs and that's a night ender.